While foreign customs can seem daunting, learning about them is half the fun of visiting another country. 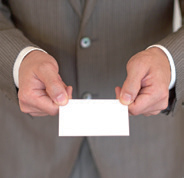 Here are some basic rules to help you make a good impression in Japan. Chopsticks are to be respected as more than a food implement. Do not leave the chopsticks sticking out of the rice or pass food from chopstick to chopstick; both are ancient funeral rituals. Do not lick, chew or nibble the end of your chopsticks, or use them to move or point at anything. Do not spear your food with the chopsticks. 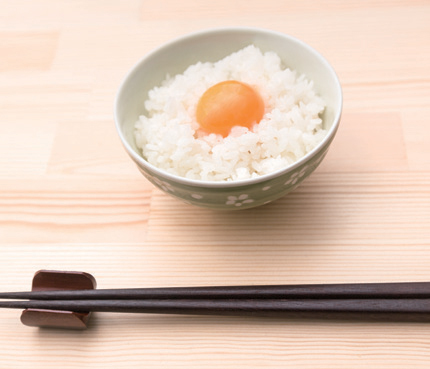 When taking food from a communal plate, use serving spoons if provided, or use the bottom, fatter end of your chopsticks. Only rest chopsticks on a designated chopstick rest. Meishi are an important business tool so make sure yours are clean, straight and presentable. You should always stand when exchanging meishi. Offer your meishi with both hands, facing towards the recipient so that they can read the details easily. If you receive a meishi, do not write on it, hurriedly put it in your pocket or disregard it. 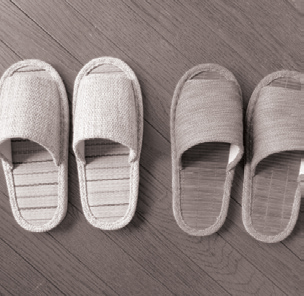 Shoes are not permitted in most Japanese houses so slippers will often be provided in the entrance (genkan). Store your shoes neatly, facing towards the door. Toilets have their own designated communal slippers. Be sure to remove these slippers again before going back to the rest of the house. When leaving the house, place the slippers neatly together, facing away from the front door before putting your shoes back on. 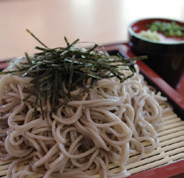 Unlike in the Western world where making noise while eating is frowned upon, slurping while eating soba, udon and ramen is very much encouraged. In fact, it actually shows appreciation and enjoyment! So next time you order a bowl, enjoy your meal in true Japanese style. 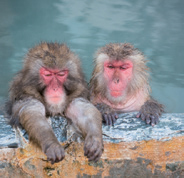 Sento (public baths) and onsen or hot springs bathing culture has a long history　in Japan. Male and female baths are separated by curtains marked with different colours and kanji characters – 男 for male and 女 for female. No clothes or swimming costumes are permitted so place your personal　belongings in the locker provided and cover yourself with a small tenugui towel when walking around. You must wash thoroughly before relaxing in the bath. 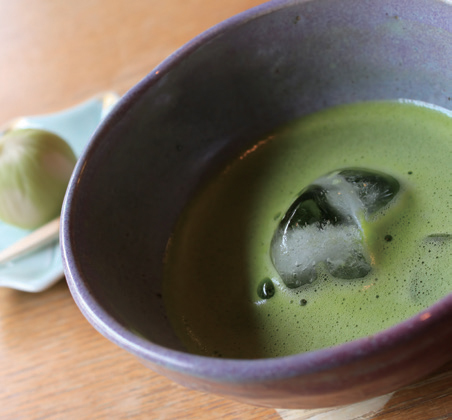 The ritual of preparing and serving green tea in a formal setting is an art form that can take years to learn. The ceremony uses the finest tools and careful, ritualised movements to focus the mind wholly on the moment, and away from everyday life. Guests wear their best clothes and remove their shoes before kneeling on the tatami mats. Bows are exchanged between the host and the guests and the bowl must be turned three times before drinking the tea. Conversation is limited to keep the mood tranquil. 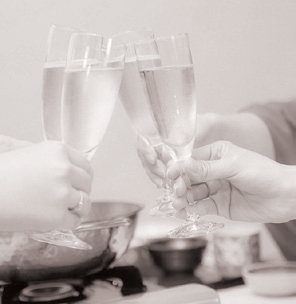 In Japan when drinking with a guest, friend or work associate, it is customary to pour their drinks first and to refill their glass as soon as it is empty. Your guest will also do the same for you and it is very common　to share large bottles of beer or sake amongst a group of people. Plus remember to always say a big “Kampai!” (cheers) to kick the night off. 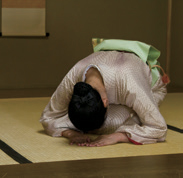 In Japan, bowing is an important ritual that conveys respect, acknowledgement and appreciation. The lower you bow, the more respect you show. Before you bow you should straighten your posture and bring your knees and heels together. Your hands should be beside your body or crossed in front of you. Look at the person and try to keep your back straight, bowing slowly and deliberately from the waist or the hips. 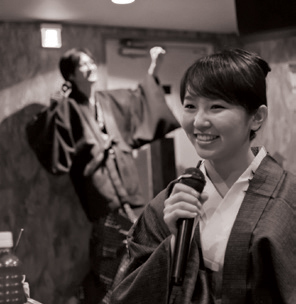 Everyone loves karaoke, especially in Japan. Enjoy the luxury of sharing your own private karaoke parlour with friends. Songbooks usually have a large selection of songs for you to enjoy, but remember not to hog it. The polite thing to do is to choose a song, sing it and then enjoy everyone else’s superstar renditions. are places of worship so they should be treated with respect. 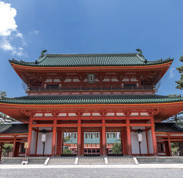 At a shrine, make a deep bow when you enter the torii gate, and use the bamboo dippers at the nearby fountain to cleanse your hands and mouth. A small amount of money, called o-saisen, is given at most shrines and clapping, ringing a bell, or saying a short prayer are also common. 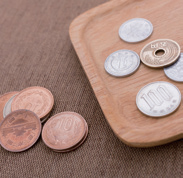 Tipping in Japan is not mandatory as a service charge is already included in the bill. In many cases, tips may be politely refused. Attempting to tip a waiter or porter can cause confusion because it is not a common custom in Japan. You can make this less confusing if you put money in an envelope or wrapping paper, and say, “kore-wa-kimochi-desu”. There are two types of toilets in Japan: Japanese style and Western style. Some older facilities might have only Japanese style toilets. 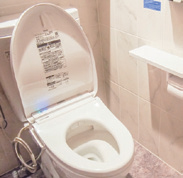 Many Western style toilets in Japan feature options such as a heated seat and a built-in washer called a bidet. When using the bathroom in a Japanese traditional hotel, you will often find toilet slippers for exclusive use inside the bathroom. Just remember to leave your usual slippers outside the bathroom. Gift-giving is a common custom of Japanese culture. Different types of gifts are given on different occasions. Much attention is given to the wrapping of gifts. If the gift is not nicely wrapped or unwrapped, the present should at least be in a bag from which it was purchased from. When handing over the present, the gift giver should use both hands to give to the receiver, the receiver also responds by accepting it with both hands.